OK, small disclaimer before continuing. 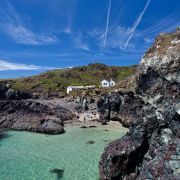 Obviously these aren't the top 10 absolute best photos of Cornwall ever taken by anyone; they are in fact my subjective selection of favourite images taken by myself. 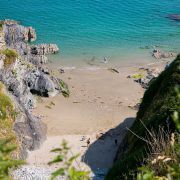 However, over the past ten years or so I have taken a good few thousand photos and explored every nook and cranny of Cornwall. So hopefully during this time I have managed to bodge to together a few good photos. The list itself is probably going to be part 1 of several as there were quite a lot of pictures to choose from. As a rule I like to think I'm constantly improving as a photographer but some of these photos were taken over ten years ago. A lot of photography is being in the right place at the right time... and good knowledge of Photoshop! Hopefully, one or two of you reading this might be interested to know that these photos are now available as prints to buy here. They come in a range of sizes and on canvas. I've got one they're very good! I've always liked this particular wave photo as it reminds me of a 1980s surf poster I had of somewhere in Hawaii - OK, maybe not quite, but not far off.Everybody knows that Porthcurno Cove is one of the most photogenic spots anywhere in Cornwall. Turquoise water, rugged granite cliffs and white sand have made it a staple of landscape photographers over the years. 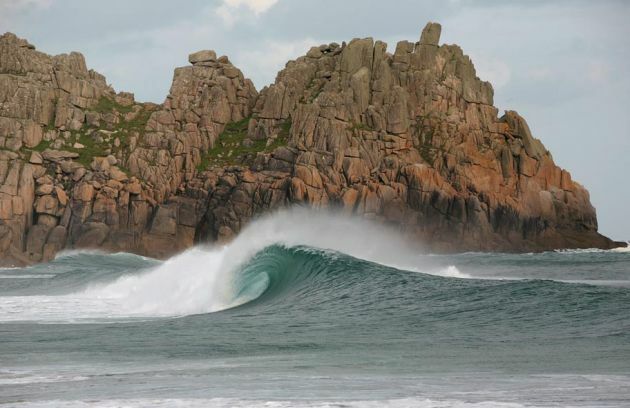 What a lot of people don't know is it also produce some of the most photogenic waves in Cornwall too. Given a light offshore breeze the waves at Porthcurno start to show how much power they pack. I have a bit of a love-hate relationship with Land's End. For starters I once worked there as a children's round-a-bout assistant. My main gripe though is it has been turned into the "motorway service station at the end of the world". But regardless of how soulless and unappealing the tourist development is here the cliffs are just as spectacular. 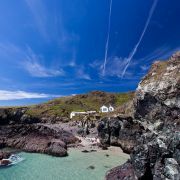 And you don't have to walk far to escape the crowds. Five or ten minutes and you're in a different world. Here is that other world on summer evening. Penzance is one of those towns that have quite a few attractive vistas but they can prove quite trickly to photograph. 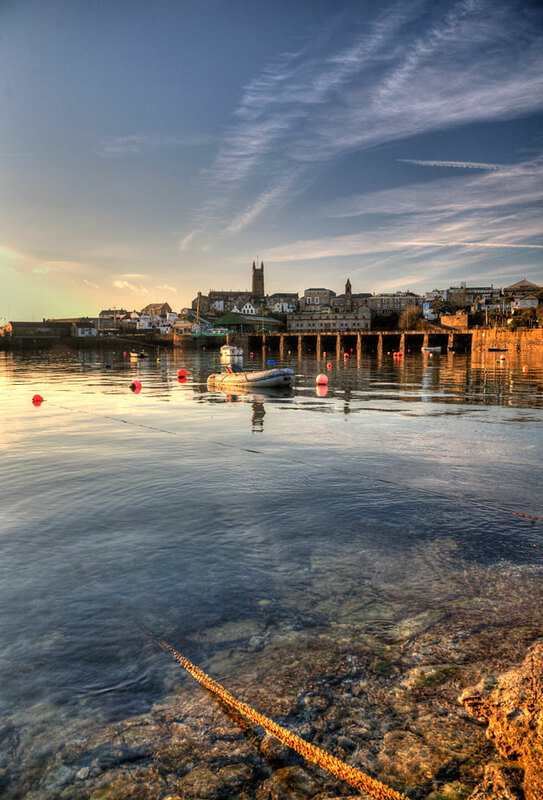 In my experience all the best views are with a relatively small area around the harbour looking back towards the church. In this shot the early morning light plays a big part lighting up Ross Bridge, which would otherwise been barely visible. I used my super wide lens and polariser filter on this which helps make the water in the foreground appear extra clear. The sky worked out quite nicely too thanks to all those airliners. So, part of the reason I chose this photo is it is such a rarity. Also, I had such a fun time driving up onto the moors in the snow. I remember being able to just stop the car in the middle of the road and leave the doors wide open as there was nobody around. Funny thing is it snowed the next year too.For anyone who hasn't grown up in Cornwall some of the significance of a photo like this might be lost. 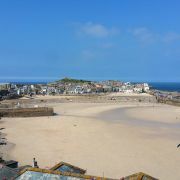 The point is it never snows in Cornwall. 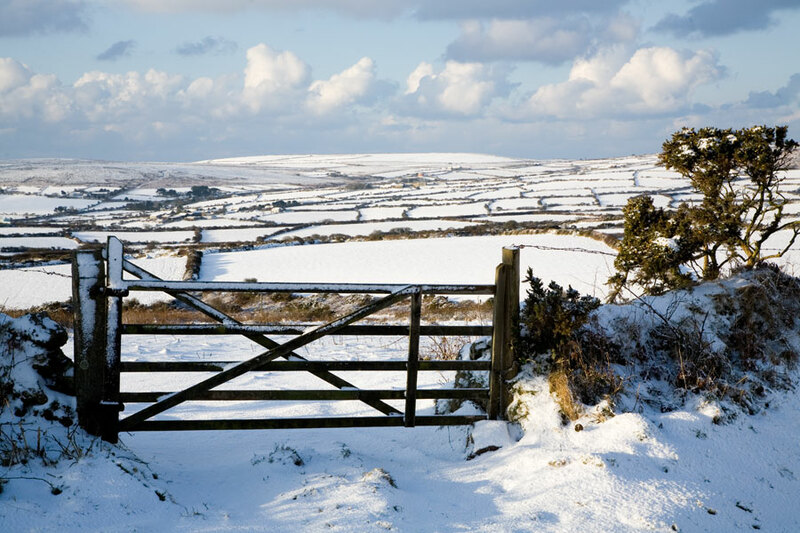 Well, maybe on Bodmin Moor every now and again, but as for the rest of Cornwall, for it to snow and stick is virtually unheard of. 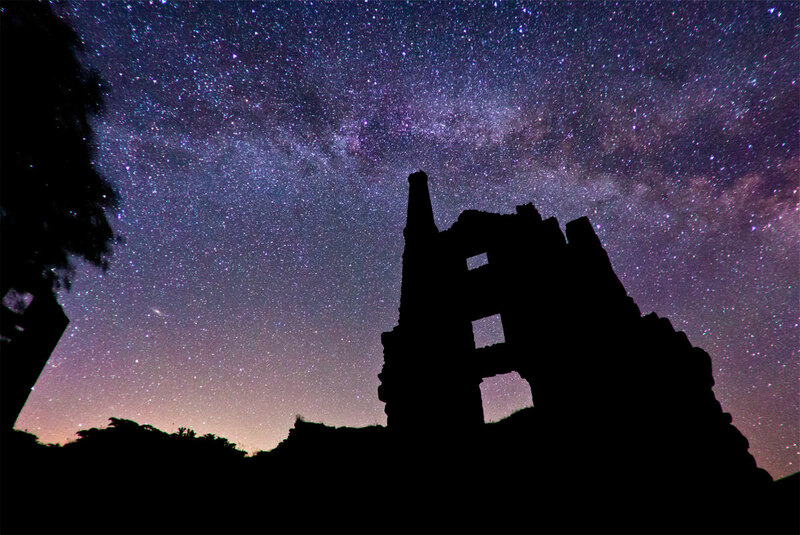 Hard to imagine this as being a centre of industry, but it was just over a hundred years ago. The building to the left once supported one of the biggest water wheels in Cornwall. Now-a-days it just provides some interest for photographers by catching the sunset light!This is one of my atmospheric shots! 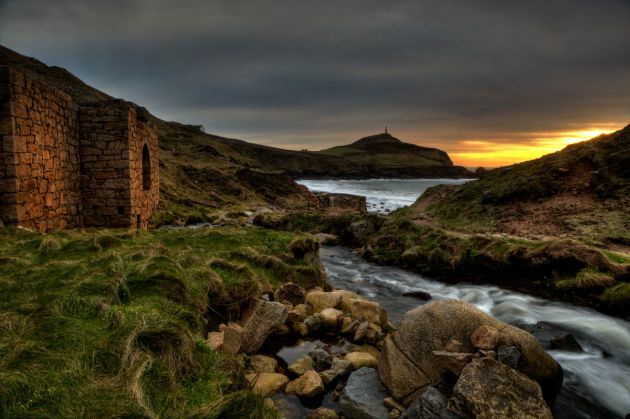 A mixture of mining heritage and a winter's sunset - can't go wrong really. 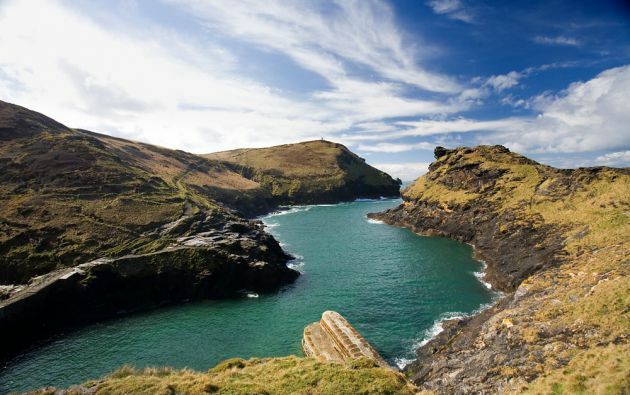 This is the view from the end of Kenidjack (or Nancherrow) Valley as it opens up into the cove at Porth Ledden. In the distance is Cape Cornwall, which would be so much less photogenic and iconic without the chimney stack on top. 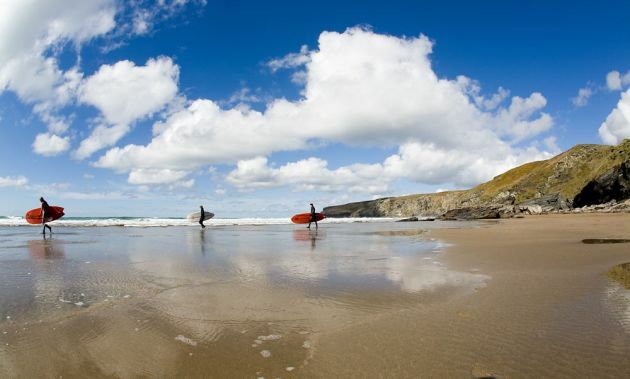 Trebarwith Strand is one of those beaches that people rave about. 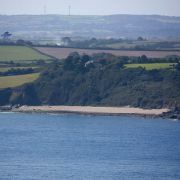 And granted it is a lovely beach. Well, when it's there as it almost disappears at high tide. Anyway, this is one of my favourite photos for a few reasons. Firstly I took it with my fisheye lens and it didn't come out looking like something of a 60s album cover. What I really like about it though is how the three surfers obligingly lined up very neatly. Oh, and the those fluffy white clouds help too. I have to say this isn't the most dramatic picture I've seen from this day. 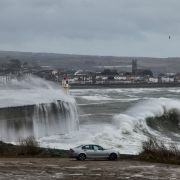 Whilst the splashes are pretty big down the coast there were bigger. 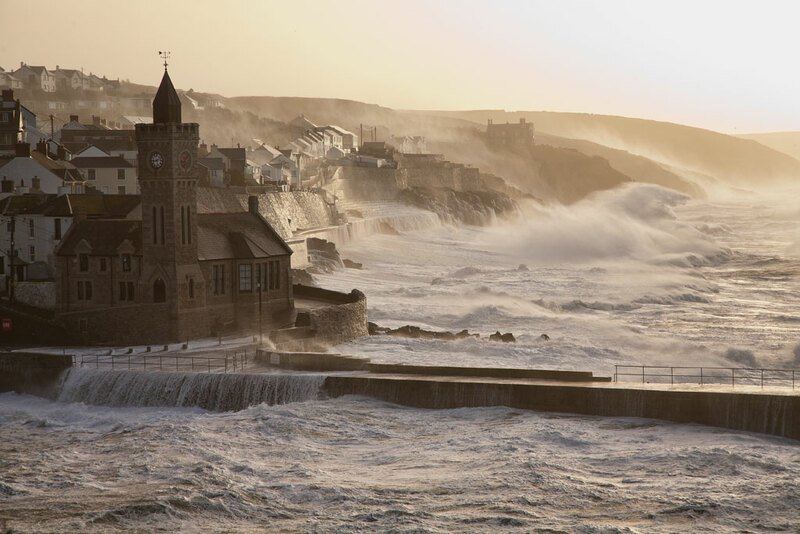 What I do like about this photo though is the golden light from the morning sun which would make a pleasant enough picture even without the raging sea.This photo of Porthleven is from the epic storm season of Winter 2014. For those in the know, the harbour town of Porthleven is the place for storm watching in Cornwall. The reason storms are so spectacular here is largely due to the apparently precariously placed "Institute" building you see here. Generally, even the roughest seas will barely splash the Institute but this was a monster of a storm. 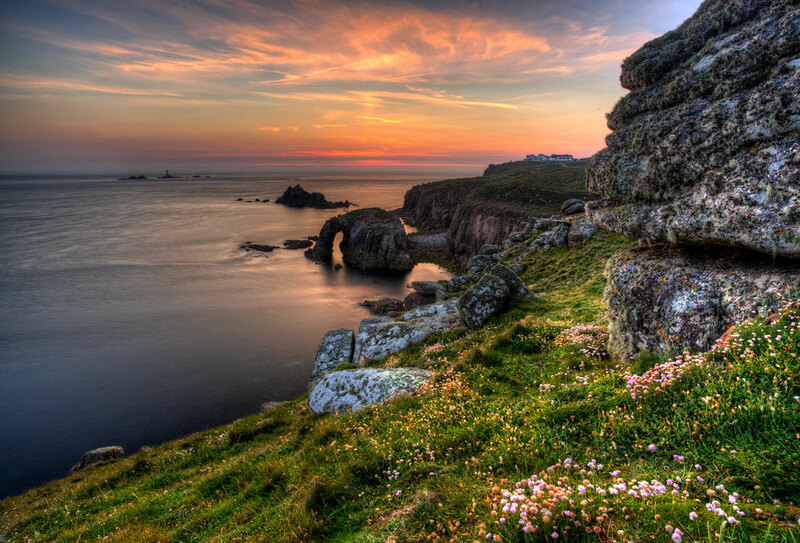 Whilst Cornwall is replete with spectacular natural scenery it is pretty short on grandeur. 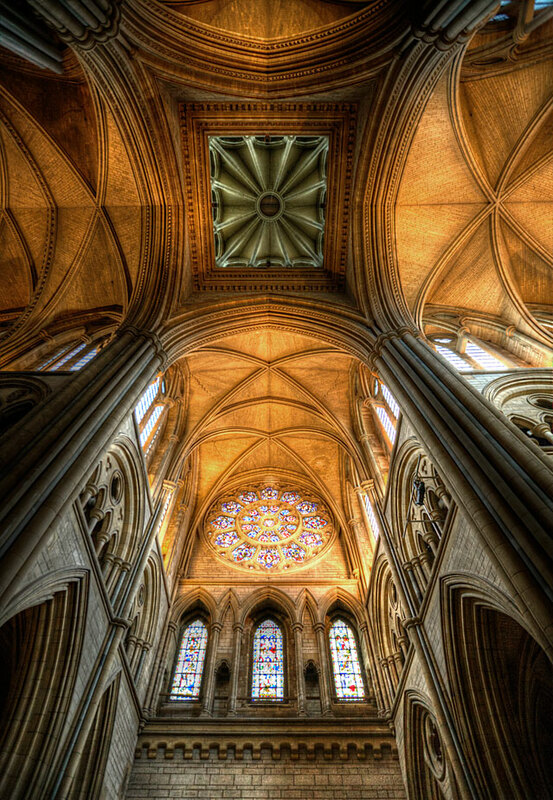 This, in my opinion, is about the grandest view in Cornwall - standing under the central spire of Truro Cathedral and looking up.One of the reasons I like this photo particularly is it responded really well to a bit of post-processing which really brought out the detail on the stone work and colours on the stained glass. For me it's always hard to judge this and a pleasant surprise when it turns out well.